In this tutorial I’ll teach all the basics you need to start creating amazing 3D models using Blender. 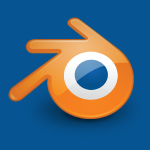 Blender allows you to do anything involving 3D including modeling, animation, simulation, game design, movie editing, etc. This is a multipart tutorial, but by the end of this video you should feel more then comfortable with using Blender. You can download it here. This is the mouse I use. 9. Spin (Alt + r) : Spins a shape around a central point.